There are hundreds of task killer apps available on Google Play Store for free which claim to boost up your device's performance by deleting junk files and cache. 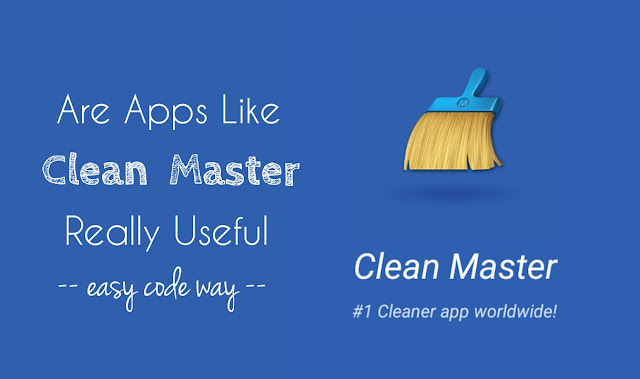 One of the most popular task killer app is Clean Master, which has been downloaded by 500M times. Other similar app is CCleaner. 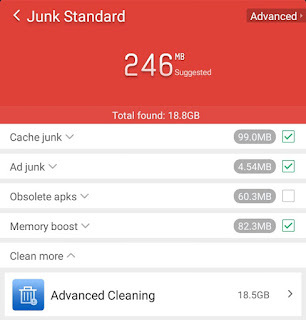 Like Clean Master, this app also analyze and clean up junk files which are no longer in use, thus making your phone run faster. One of the most frequently asked question about Clean Master and other task killer apps is that, are they really useful? Do they actually work to speed up device's performance? You may find many people asking these question on online forums. This topic is worth discussing. So I am here to explain you everything about it. What Clean Master app actually do? Cached data: As system and apps work, they save their cached data in RAM memory. There is no doubt in fact that Clean Master is smart enough in deleting system and apps cached data at once. But there is drawback of doing this. As you'll delete cached data, some apps may cache them again after some time. Ad Junk: Ads appearing on third-party apps and websites may save a lot of junk files in your phone memory. Obsolete apks: Clean Master will find all the obsolete (means outdated) apps in your phone and suggest you to uninstall or update them with a backup. Memory boost: Android's operating system and all other apps needs their own room to operate. RAM memory is the place where they do all their work. Some apps are always running in background. Clean Master simply force stop them and deletes all their RAM space to boost memory. Advanced Clear: There is another advanced tool which let you delete big files (more than 10MB in size), cache and temporary data (such as thumbnails and text). As already mentioned, apps and Android system also work in background. Clean Master will simply force stop them to work, ultimately aiming to boost up the phone speed. It also deletes there cached data from RAM memory. Is the Clean Master app really useful? Before moving to any solid conclusion, first you should know about the drawbacks of using this Clean Master and other task killer apps. Eat battery life: Believe me or not but Clean Master app eat battery life. Think it in this way - As soon as it will kill the app (or its services) from running in background, they may start working again after some time, thus consuming more battery power. Eat unnecessary space: Although Clean Master is around 15 MB in size which is very small but it also save cached data in RAM memory that eat unnecessary space. Slow down the phone speed: This point is little bit confusing. Clean Master is made to boost up the phone speed but here I am saying that it will slow down the phone's performance. Well it's true. The reality is totally opposite to what app developers claim. We all know that Clean Master will delete apps cached data. As simple as it sounds. But next time, your phone have to go through the complete process again which will take more than usual time to load. In fact, this is where RAM memory is used. They make it easy to retrieve cached data, thus boosting up the performance. But if you'll delete that cached data, apps have to cache them again. While on the other hand, Clean Master app itself work in background 24/7 to kill other app activities. 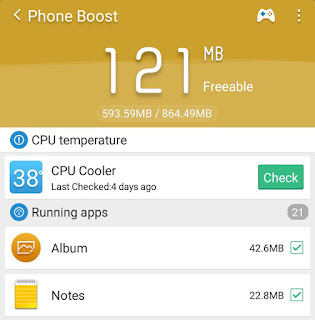 This also affects your phone's performance as it will use unnecessary RAM memory. Keeping these drawbacks in mind, I don't recommend you to use Clean Master and other task killer apps. They are useful earlier when the RAM size is very less (usually below 1 GB). Today's phones have good RAM memory size and they are already optimized for best performance. What task killer apps do can be done directly from your phone. For example, if you want to delete junk files, you can clear cached data from "Settings > Storage". In the same way, if your browser is too slow to load or if it hangs or crash automatically, you can delete its browsing history to boost up some speed. On the other hand, you can also force stop an app from running in background manually by going to its settings page. Speaking frankly, this action is pointless as app (or its services) may start working again after some time. So let them do what they're doing. But make sure to uninstall all heavy and useless apps from your phone. What makes Clean Master app unique? Delete duplicate photos: You might have thousands of images saved in your phone. Imagine how it would be to delete all duplicate and similar photos. Sounds good? This is where Clean Master can help you. It scan both device's storage and SD card to find out duplicate photos and then let you delete them manually. 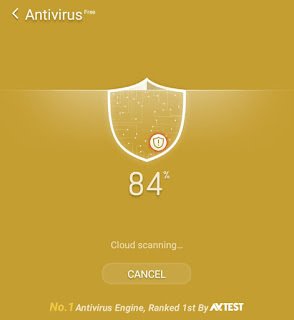 Use as an antivirus: You can also scan your SD and Internal memory to remove any kind of malware and viruses for it. 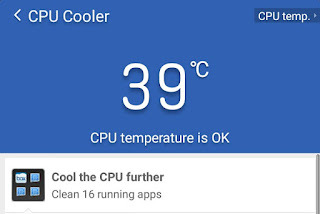 Measure CPU temperature: This app can also measure your phone's CPU temperature and cool down the heating by killing all running apps. Lock other app: In the latest update, Clean Master has added a new feature which let you lock application with pattern and pin code so as to protect your personal data from other people. Charge faster: There is another advanced tool which claims to speed up the battery charging process. Backup your data: If your phone is running out of low memory space, you can backup your photos to the cloud. Note that, originals will be backed up while compressed photos will remain. Save battery life: You can install Battery Doctor app from Google Play Store which is another product of Clean Master. It also claim to save battery life by reducing device's performance and limiting most of the background data. I can't say whether it actually works or not as I had never used it but you can give it a try. Now you know all the features and drawbacks of Clean Master app. It's all up to you whether you want to use it or not. What do you think about it? Finally if you've any doubts, feel free to ask me in the comments. Stay tuned for more interesting tutorials.